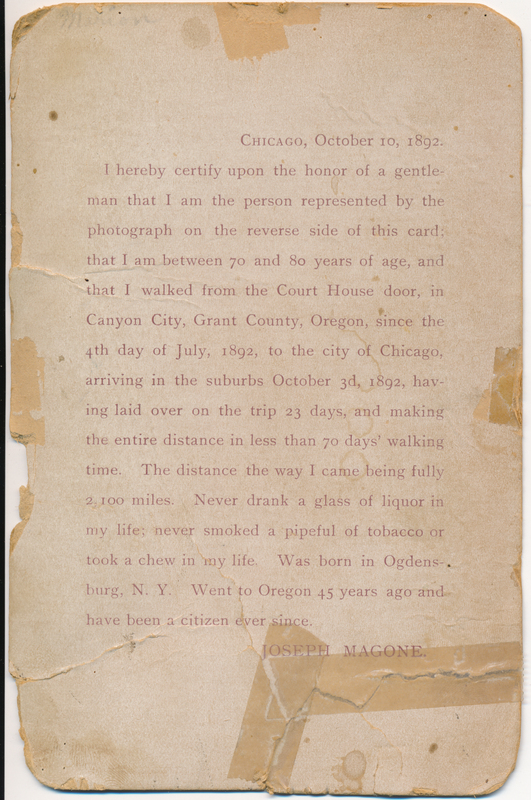 Description Portrait of Major Joseph Magone (b. 2/10/1821 d. 2/15/1902) with biographical statement printed on reverse. 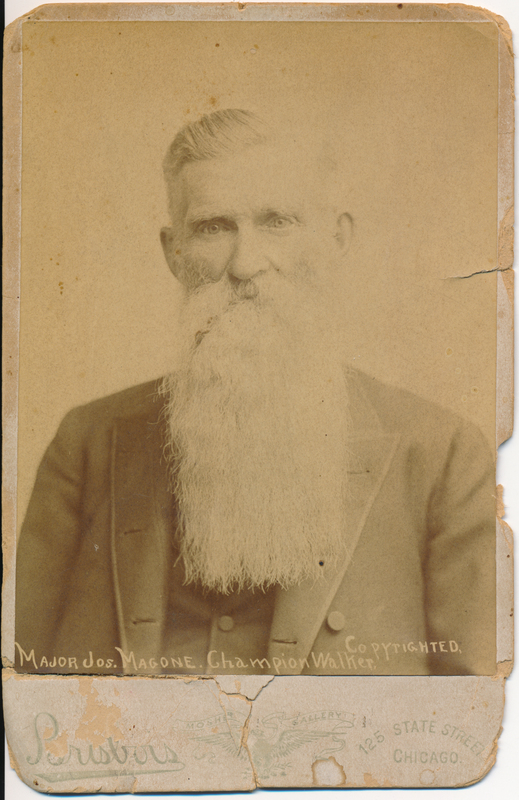 Major Magone's son Daniel Dean Magone married Henrietta Sussannah Carman (daughter of Waters and Lucretia Carman). Front of image reads: Major Jos. Magone. Champion Walker. Copyrighted. Brisbor's [sp?] Mosher Gallery, 125 State Street Chicago Photo courtesy of Gary Glenn.